Guess who’s back?! I apologize for the long hiatus. I’ve had plenty of bottles lately that have inspired me to write an article, so I will certainly be posting more in the coming weeks. 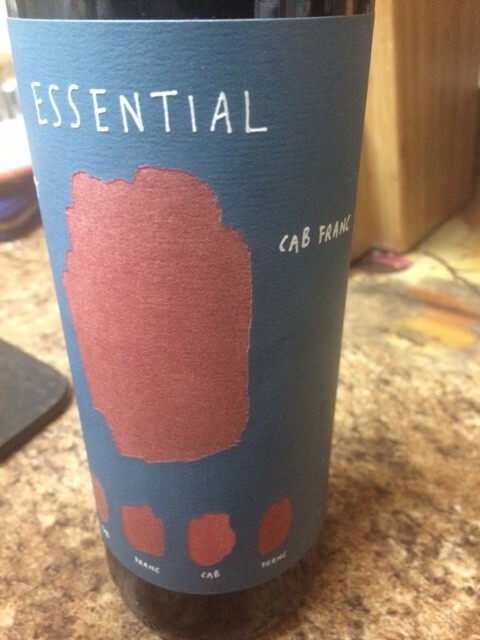 When I went to Whole Foods tonight to get ingredients to make a cauliflower crust pizza (always delicious, and yes, I was skeptical at first too), I wanted to get a half bottle of red as well. While I can finish a 750ML bottle on my own, I really prefer to share a bottle with friends. I grabbed a $12 half bottle of zin, but then saw a bottle of Cab Franc on sale for $16. I couldn’t say no to that! The nose on this Cab Franc is lovely. Surprisingly, not one hint of bell pepper… just delicious ripe raspberry and a bit of barnyard dust. Quite a bit of acidity on the mouthfeel and finish. This is a charming, food friendly Cab Franc that is quite a bargain at $16.